Francis to open Nazi-era Pius XII files? The Telegraph is reporting a claim by Abraham Skorka, an Argentinian rabbi and long-time friend of the new pope, that Francis will open the long-sealed Vatican files on Pius XII (Eugenio Pacelli), who served as pope 1939-1958. These files may shed light on the activities of the Vatican during the Holocaust. This may solve a long-standing historical mystery regarding the Vatican’s stance during the Holocaust. There are a wide variety of views of the topic (some summarized by the phrase “Hitler’s Pope”); the actual files may shed light. 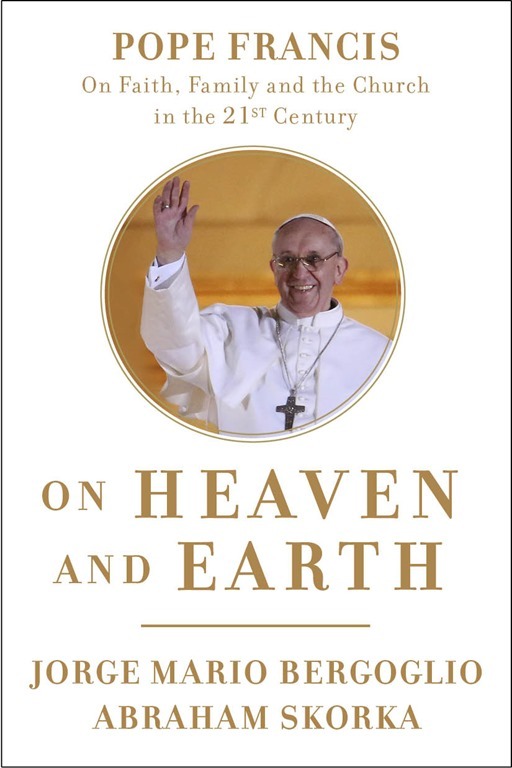 Incidentally, I just today received a copy of On Heaven and Earth, the English translation of the book written by Jorge Bergoglio (Francis) and Abraham Skorka. ← Minns-Parvis edition of Justin Martyr’s “Apologies”: An exemplar for presenting religious texts. In the book, do the authors discuss Pius XII? Or has the new pope said anything public about him anywhere yet? Oh, yes, there is extensive discussion about Pius XII that book and his actions during the Holocaust — particularly in Chapter 24. In general, [then Cardinal] Mario Bergoglio defends the Church’s actions during the Holocaust while [Rabbi] Abraham Skorka questions the apparent silence of the Church. I hope to write more on this point when I review the book, which is quite revealing on several points. Let me just say here that while I cannot speak to their writings as pontiffs (we do not have enough writings by Pope Francis), but we have a writing from them in non-papal roles. Ratzinger published extensively before he assumed the title of pope, and even after he became Benedict, he published his “Jesus trilogy” under the name “Ratzinger” rather than under the name “Pope Benedict.” In their non-papal roles, Bergoglio and Ratzinger are very different sorts of writers. What you said about opening the archives relating to the Shoah seems perfect to me. They should open them and clarify everything. Then it can be seen if they could have done something, to what extent it could have been done, and if we were wrong in something, we will be able to say: “We were wrong in this.” We do not need to be afraid of that. The objective has to be the truth. When one starts to hide the truth, one eliminates the Bible. One believes in God, but only to a point. One is not being fair. We must not forget, we are sinners and unable to stop sinning, even though it is also true that God does not want it like that; He loves us His mercy, but if I do not recognize that I am a sinner, His mercy does not get to me, it does not reach me. We must know the truth and go to those archives. I am not aware of what Bergoglio has written about Pius XII since becoming pope.